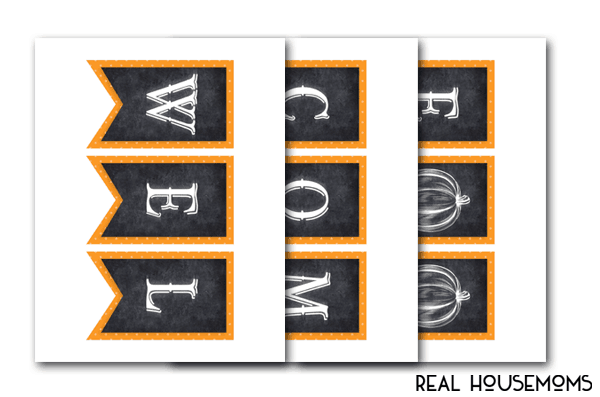 This Printable Halloween Welcome Banner is the perfect addition to your fall decor! Yay! It’s the best season, y’all (or it almost is). Pumpkins, sweaters, boots, and ALL of the awesomeness of fall is headed our way. 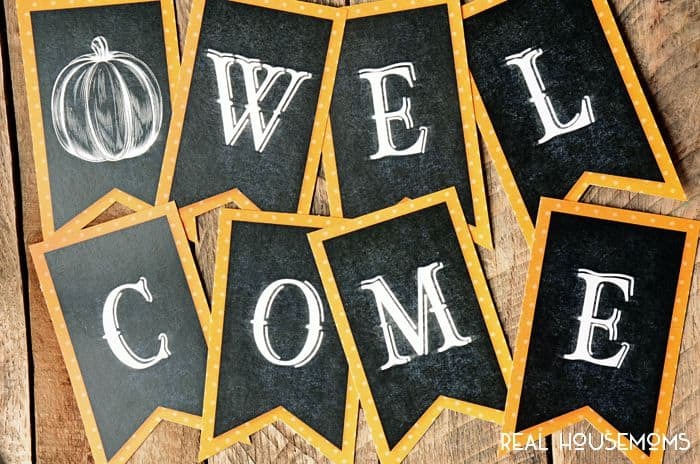 This “Welcome” banner is the perfect piece to hang close to your front door…or anywhere to welcome friends into your home! I hung mine in my entry hall on my chalkboard! It’s my favorite place to decorate seasonally. It’s designed to look like little chalkboard pennants. 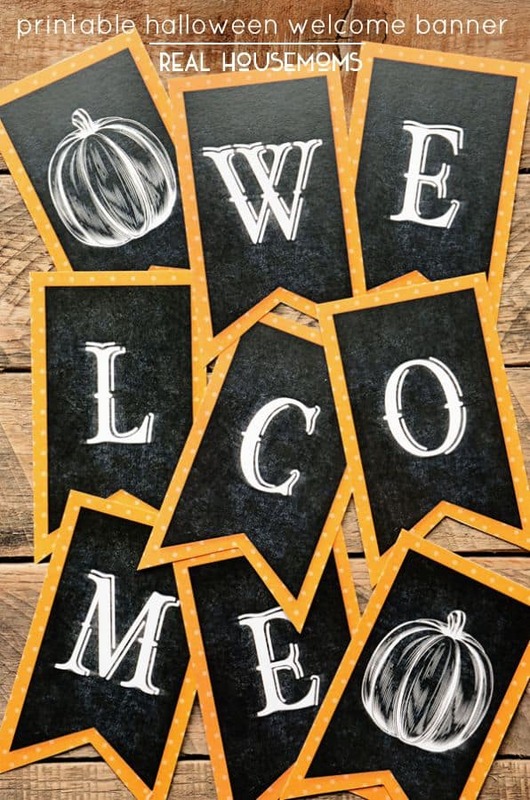 You could even add extra pumpkin pennants on the end to lengthen it. Thank you used this today! !